Her insistence on wearing a full burqua at all times, and complete submission to her husband and male members of the family, were key factors in refusing her French citizenship. 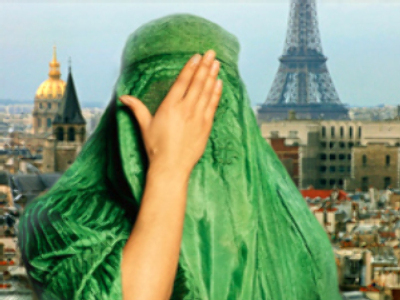 The landmark ruling focused on the woman's “failure to assimilate into French society”. Up until now, citizenship was only refused to Muslim applicants on religious grounds if they were suspected of having connections to fundamentalist or radical Islamist organisations. Legislators were concerned that her religion – a branch of Islam known as Salifism – confined the woman, known as Faiza M., to a reclusive life, cut off from French society. Emmanuelle Prada-Bordenave, a government commissioner who spoke at the hearing, recalled that the woman was “completely covered in a long robe that fell to her feet, a veil masking her hair, forehead and chin, and a tissue hiding her face, with only a thin slit opening for her eyes,” when she met with social workers. “She lives in total submission to the men in her family,” said Madame Prada-Bordenave. Le Monde newspaper reported on Bastille Day, the French national holiday, that the ruling brought together politicians from the Left and the Right, who praised its defence of the right to liberty enshrined in the French constitution. Yvelines Jacques Myard, a deputy from the governing centre-right UMP party, announced that he intends to press for legislation to support the Council's ruling.